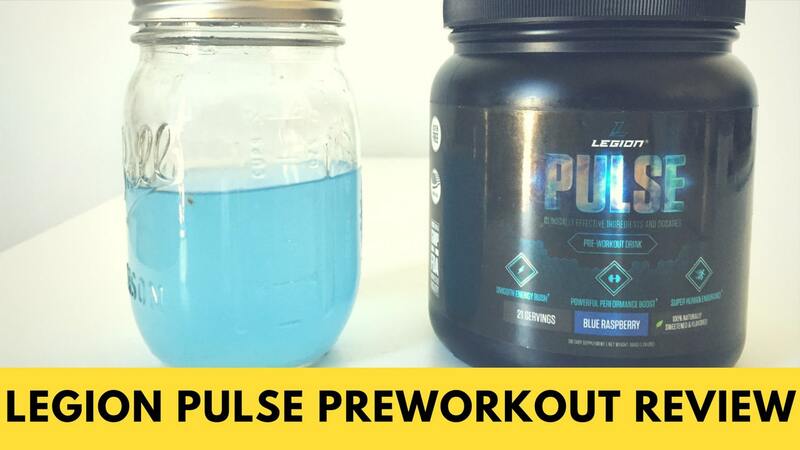 Home » Legion Pulse Pre-Workout Review — Are High Dosages Always Good? 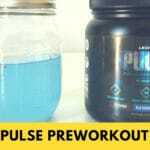 Legion Pulse Pre-Workout Review — Are High Dosages Always Good? Legion is a Virginia-based supplement company based that was founded by Mike Matthews in response to what he saw as low-quality supplements and unnecessary additives in most of the products on the market. 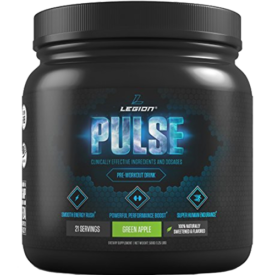 Most of his supplements are free of artificial sweeteners and colors including Legion Pulse Preworkout, their signature pre-workout. 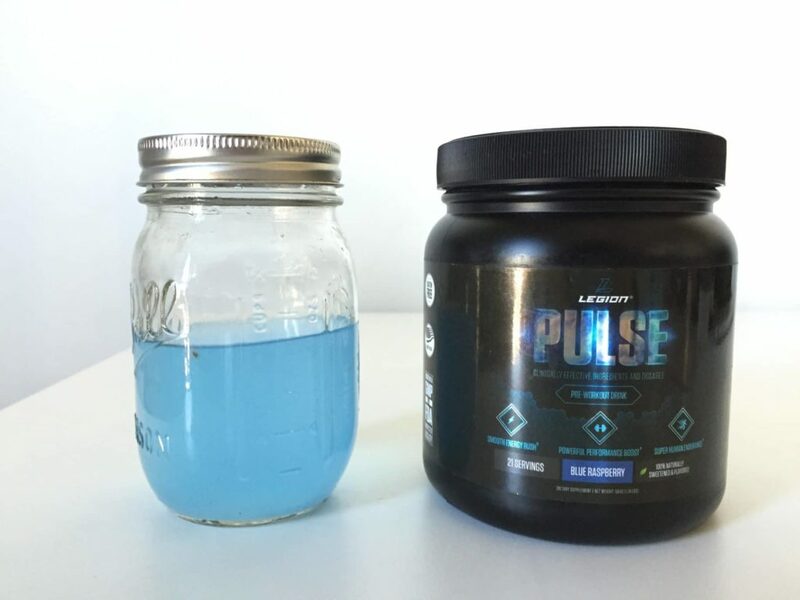 It comes in Fruit Punch, Grape, Green Apple, and Watermelon flavors, but we decided to take Blue Raspberry for a spin. One serving has two scoops and has 5 calories and 350 milligrams of caffeine, about as much as you’ll find in 3.5 cups of coffee. This is about as strong a pre-workout as you’re likely to find on a per serving basis, though you can always just use one scoop. Besides the caffeine, there’s beta alanine (4.8g), taurine (2g), theanine (250mg), betaine (2.5g), l-citrulline DL-malate (8g), and l-ornithine HCL (2.2g). I’ll discuss the effects of these ingredients in the next section. The “Other Ingredients” section is just a mixture of anti-caking agents and natural flavorings including stevia, maltodextrin, and erythritol, a sugar alcohol. Fun fact: the blue coloring of this product comes from spirulina, a type of nutrient-dense algae. So what do these ingredients do? The caffeine, of course, reduces fatigue and can also increase power output, focus, and endurance. For some people, such a large dose of caffeine results in a lack of focus, or an increase in “jitteriness.” What’s cool about Pulse is that it includes big doses of taurine and theanine, which are intended to reduce the jitters and lack of focus that can accompany a big caffeine hit. 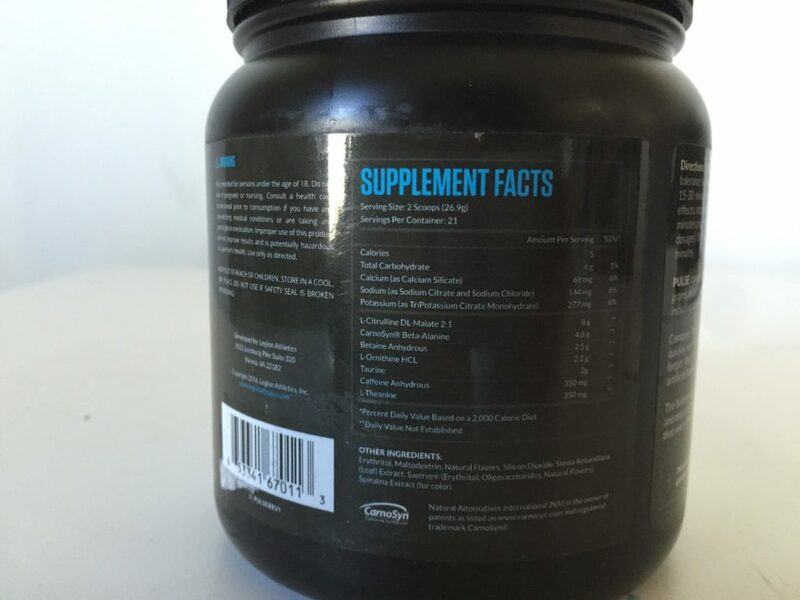 The citrulline is linked to improved blood flow and “pumps,” while the betaine is more associated with power output. The ornithine, meanwhile, has been shown in some research to reduce fatigue in long workouts (think 45 minutes-plus) and one study also showed it can help with power as well, though that study is pretty old and the only one to show this effect. A lot of pre-workouts have these ingredients, but don’t include enough of them to have the desired effect. Pulse does not have that problem — all of these ingredients are present in very high amounts, higher than many of their competitors. Finally, there’s beta alanine, which has a strong link with endurance. This one is dosed even higher than the other ingredients, relatively speaking: there’s 4.8 grams of it in one serving. The general scientific consensus is that 1.6 grams of beta alanine is enough to have an effect on endurance. There’s only one real downside to including so much of it: beta alanine tends to produce a tingly, itchy feeling on the skin. It’s harmless and a lot of people enjoy it, but if you’re not a fan then you might be bothered by the amount you’ll get in even one scoop. The same goes for the caffeine: it’s high enough that people who are sensitive to it may find it overwhelming. The good news is that the other ingredients are so highly dosed that you can halve the serving size and still have a pretty darn effective supplement. You can pick up a tub of 21 servings for about $40. That’s $1.90 per serving, which is relatively pricy — most pre-workouts are between 80 cents and $1 per serving. 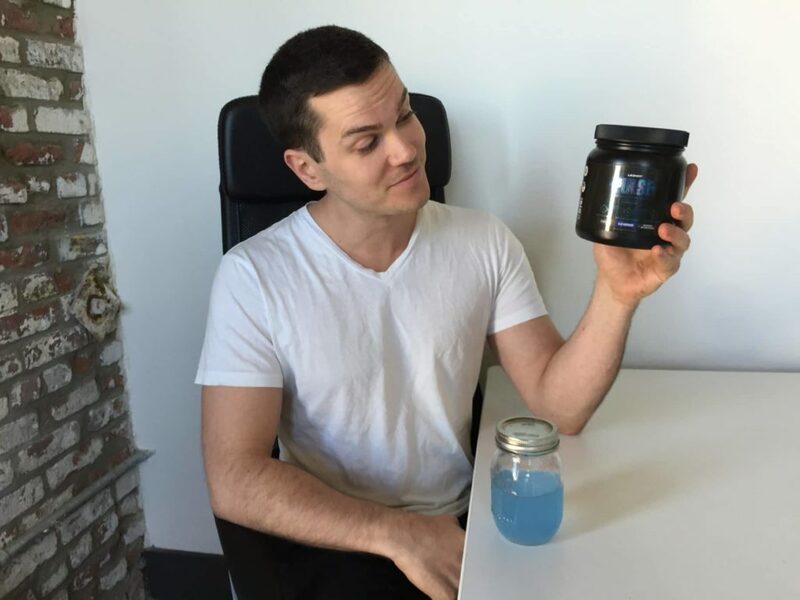 That said, this has way higher doses in just about every ingredient when compared to your standard 80-cents-per-serving pre-workout, so you might find it a justifiable expense, especially when you take into account the fact that it’s an all-natural product. I was pleasantly surprised by the flavor of Blue Raspberry, because it really tasted like raspberry candy — even though there are no artificial sweeteners or sugar. When I mixed one scoop with a cup of water there was a very, very slightly bitter aftertaste when I was taking a big gulp, but when sipping it I didn’t have a problem. If you try to avoid artificial ingredients, you’re covered. The ingredients list isn’t really missing anything — it’s even way higher in electrolytes than its competitors. It is more expensive than usual, but besides that, there’s little to find fault with.